The PRATS are back on the road in the FA cup, this time it’s the 4th Qualifying against Conference side Solihull Moors. A newish club formed in 2007, an amalgam of Moor Green and Solihull Borough. They thought about calling themselves Moor Solihull, but were advised against it, who the hell wanted anymore Solihull. The ground is called the ‘H’ stadium because it’s in the middle of nowhere. Less than on hour away so we should see a decent turn out from the Poppies faithful. Last time we were here in a competitive game was during our Conference North championship season, it was on Boxing day 2007 and we sung ‘Jingle bells, jingle bells, jingle all the way, oh what fun it is to see Kettering win away’, we won 3-1. Fuggles remembers this game well because his mate Sphericals ate for the world that day. We called into the White Lion Inn in Hampton in Arden, (I’m sure there a joke there somewhere) Sphericals chomped down a huge plate full of faggots, mashed potatoes and mushy peas, on arriving at the ground he thrashed down two gigantic jumbo sausage hot dogs, by half-time he was munching on a couple of Mars bars, only to eye up the burger van for further sustenance before the end of the game. Now you know why he is called Sphericals. Not many pubs near the ground, the closest is the Acres, it’s about a 10-minute walk away, they boast a decent selection of ales so might be worth the trudge. 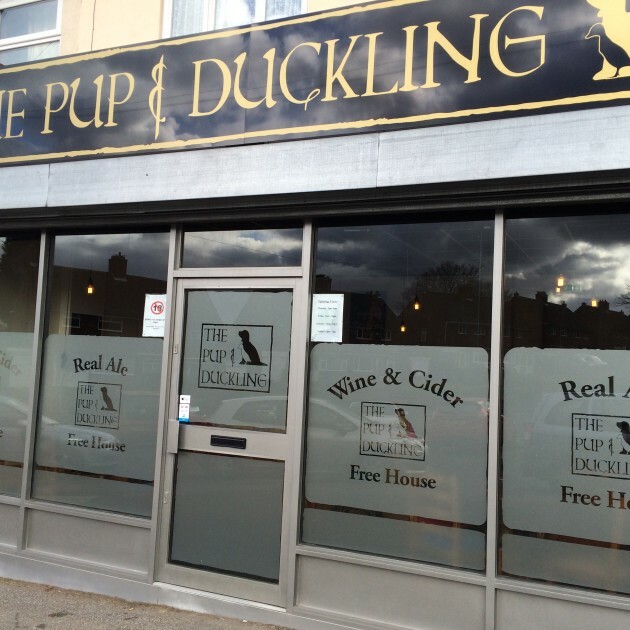 However, there is a micro-pub in Solihull the Pup and Duckling, for an up to date ale list you’ll need to refer to their Facebook page. They have 6 ales plus 5 ciders so should be a good pre-match sup. 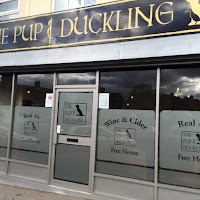 UPDATE, THE PUP & DUCKLING DOESN'T OPEN UNTIL 5:00pm. 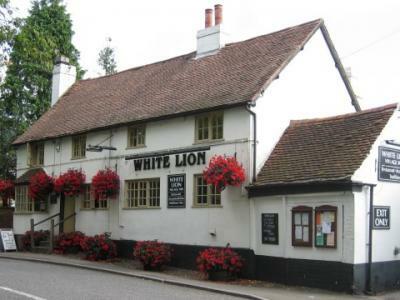 After the game, well we may pop into the White Lion mentioned above or maybe pop into the Greyhound Inn just off Jct. 3 on the M6, they serve local ales from Bryatts brewery which is just a mile away from the pub.